3D printing is evolving rapidly. The dedication of the community and the open source software used keeps everyone engaged. Hardware is also adapting to the needs of the consumers and the first thing that has been on everyone’s mind is the price of a new 3D printer. They used to be very expensive but now, newly released models are actually quite affordable. The technology used is not that complicated at least for the consumed grade models. 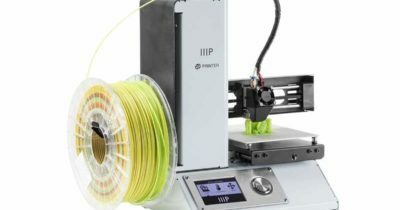 There are still some 3D printers that are designed for enthusiasts and cost several thousands of dollars. For a regular person, a simple 3D printer should do. For beginners, it is better to go for a cheaper model but just because it is inexpensive it does not mean it is not good. The biggest difference between them is the printing resolution. Printing resolution is used as a metric for quality just like for regular ink printers. The higher the resolution, the more detailed the result will be. At the same time, higher resolution 3D printers cost significantly more. There are a few other aspects worth looking out for but we will get to them later on. For now, let’s have a quick look at our list of the top 10 best 3D printers in 2019. FlashForge is a relatively new brand that makes quite a few 3D printers. The Finder model is a mid-range product with decent performance. It is not the fastest printer but it has a good printing resolution and some useful additional features such as printing over USB or Wi-Fi. What will become noticeable is just how slow the printer is. It takes hours just to print even a small model. The printing quality is not very consistent. Printing the same model several times will result in some of them being good and other quite poorly done. Last but not least, since it is so slow, it will increase the energy bill considerably. 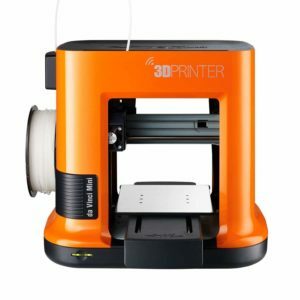 For the price, it is still a great 3D printer and a good option for beginners. 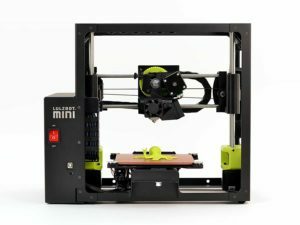 LulzBot Mini Desktop 3D printer is a good pick for the ones that have a budget of at last $1000. It is a bit more expensive but it offers excellent performance that justifies the higher price tag. It has a good resolution that can be adjusted and works with ABS and PLA filaments. For the money, the printer offers decent speed but it does have a rather fail rate. Some report it is as high as 70%. The price tag makes it unreachable for the ones that have a limited budget. The ones that can afford it can surely appreciate the good resolution and the fact that it works with a wide range of 3D printing software as the suit recommended tends to stop responding. 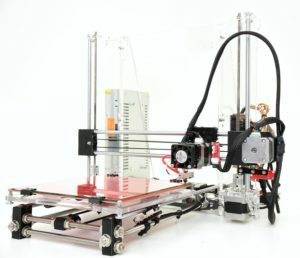 Reprap Guru Prusa is a rather interesting 3D printer. It comes disassembled. The user will need to put it together. It sounds quite scary at first but the instructions are very helpful. As for the performance of the printer, it is nothing mind-blowing but it is decent enough for the price. Printing quality is not great even if the layer height starts at 50 microns. Parts need to be cleaned properly. One major issue is the fact that it has a lot of sharp edges. Assembling it needs to be done slowly and carefully. Printing speed is probably the biggest plus of the Prusa I3. It has been improved with each iteration and now it as fast as 3D printers that are two times more expensive. XYZprinting has been around since the inception of 3D printing. 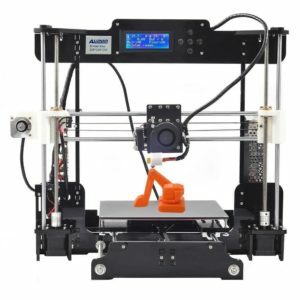 Their da Vinci mini 3D printer attempts to fill a gap in the market by providing an affordable price with decent performance. It is far from being able to compete with its bigger brothers but it gets the job done well and should be appreciated especially by beginners. The manufacturers offer a generous library of over 4500 objects. The software it comes with is fairly decent and rather easy to use. What is not so great about it is the printing resolution. It is a cheap model which counts as a plus but it will not be able to print objects with astonishing details. The fail rate of the printer is not that high but printing objects do need to be cleaned to remove the residues. If the budget is a problem, then the ALUNAR 3D is a great choice. It is one of the most affordable 3D printers in our list but it is far from being the worst out there. It does have a high failure rate but that is to be expected for such a price tag. Printing speed is good but not great. It is still a worthy purchase for a beginner. The low price tag is the biggest selling point of the model. It is a decent printer but it is not capable of anything amazing. Assembling it will prove to be a challenging puzzle but once done it should work decently. The resolution of the printer is decent but the high failure rate will require the same object to be printed several times in order to get it right. LulzBot Mini desktop 3D printer will be fooling anyone who might assume that it is an overpriced small model with mediocre performance. Despite its compact form factor, it offers excellent performance and a reliable dedicated software. It is one of the more expensive models but it is more than great for domestic use. It sounds like something odd to complain about but the printer is quite loud when in operation. The software it comes with is good for the most part but the ones that might not like it will be happy to know that it works with other applications as well. Operating the printer is fairly simple and straight forward while the fail rate of the prints is fairly low. The Qidi 3D printer is a model. This also means that it offers a large printing bed and it is tall enough to print large projects. 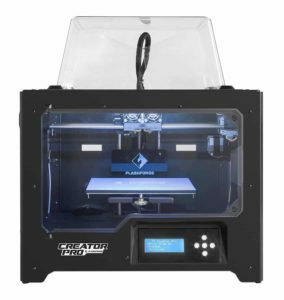 Unlike other models in the same price range, the printer is made using a metal frame and mostly metal parts which makes it much more sturdy and reliable. Printing quality is also not disappointing and the price tag enables it to compete with more expensive models. The software package it comes with feels basic. Installing the drivers will prove to be a bit challenging and the help of the community might be needed. Being such a large and bulky unit can be considered a con but this also makes it quite sturdy. As for failure rates, the printer manages to get the job done right in about 1 out of 2 cases which are decent but far from great. The XYZprinting da Vinci Jr. 3D printer is one of the few successful attempts to make 3D printing something affordable. 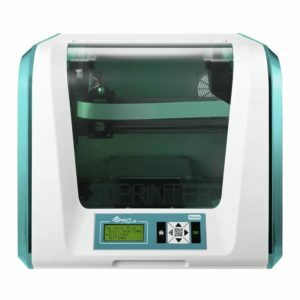 It is an inexpensive 3D printer that offers good performance in a compact form factor that is perfectly suited for regular home use. In terms of features, the printer does have some perks that make it a rather appealing purchase while the dedicated software makes everything simple and straight forward. The software that comes as a bundle for the printer is fairly easy to use but it has a lot of bugs. There are some random crashes and buttons that suddenly stop working. In terms of print quality, for the price it is decent. Fail rates are not that high and the resolution is decent. The only problem comes from the fact that the mold sometimes does not stick properly to the printing plate. 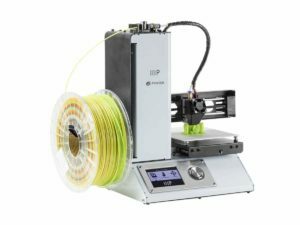 Monoprice Select Mini 3D printer is the perfect choice for a beginner. It is a good printer to start exploring and understand how they work. The price tag makes it a very convincing option while the quality is good enough. The overall package is good but there are some things about the printer that could have been done better. One noticeable problem is the inconsistency of the quality of the printer. Some users report that the printer stops working after a few uses while others never had any issues with it. It is covered by warranty but the manufacturer could be more consistent a bit. As for print quality, PLA is the better option. ABS is not that great with the Monoprice 3D printer. Last but not least, the printing surface is quite decent for a beginning user. It can make objects of maximum 4.7 x 4.7 x 4.7 inches. 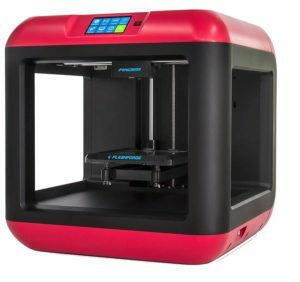 FlashForge managed to develop one of the most popular 3D printers that offer the same quality as much more expensive models. It is fairly large and quite heavy but it is reliable and does not fail all that often. It is far from being affordable but for the price, it delivers excellent performance. 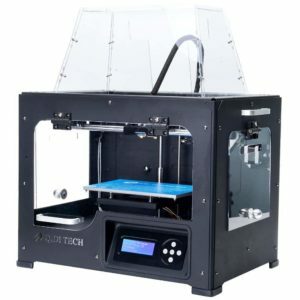 The FlashForge is a decent device and even if it is a bit more affordable it is still expensive. While it works with a wide range of 3D printer software, it is not very easy to learn how to use it. The community is quite supportive and there are plenty of free 3D objects in their library. Printing speed places it amongst the faster models but it still fails half of the times. They are still not easy to use. Even if some of them come with dedicated software, there are still plenty of bugs and compatibility issues. The 3D printing community is very supportive. There are a lot of forums dedicated to 3D printing and there are a lot of people that are willing to help beginners. Printing 3D objects are easy as there are thousands upon thousands of free templates on public websites. All current 3D printers have a failure rate. The failure rate comes from the fact that sometimes the mold does not stick properly to the printing surface. Also, there are a lot of imperfections that need to be removed or cleaned once the object is done. 3D printing is still quite slow. Usually, it can take several hours for an object to be printed which means that it will increase the energy bill since 3D printers are not very energy efficient yet. While all of the above points are more or less of a concern, 3D printers are still not very affordable. The cheaper models are good for a few weeks after which, a beginning user will understand their limitations and might wish for a more advanced model. Maybe it is a better idea to start with a mid-range model.